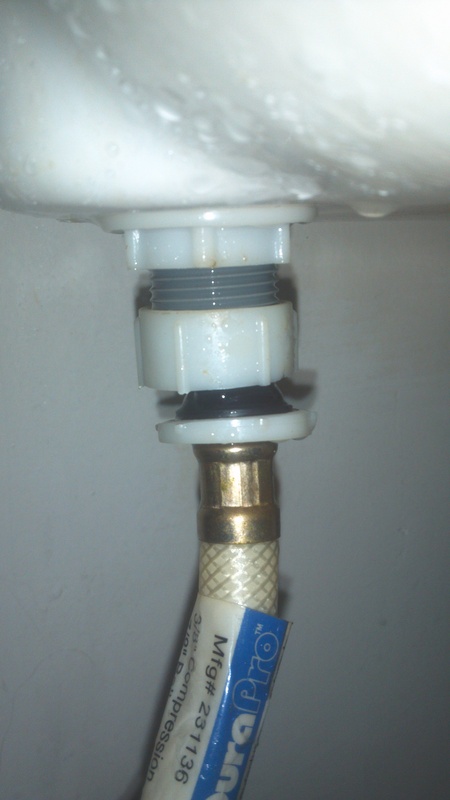 To the naked eye, it’s just a typical water supply line doing its thing…….providing water to the sinks and toilets inside a home or condominium. To a homeowner away for the weekend to visit grandma, it’s a potential time bomb waiting to happen. Statistics show that many water losses are caused due to a split in the plastic nut on the water supply. The line is pressurized with cold water that fills the tank after flushing. They typically fail at 8 to 10 years, although it’s recommended to replace them on each toilet every 5 to 7 years. Supply lines should be checked regularly for cracks or splits. The best water supply lines are flexible, braided stainless steel. If you’re leaving town for an extended period of time, it’s best to shut off the main water supply to your unit just in case. Too often we’ve seen a resident return to a flooded home caused by a ruptured water supply valve. Left unchecked, running water will cause tens of thousands of dollars in water remediation and repair costs. Protect yourself and limit your liability by shutting off your water before you leave town.